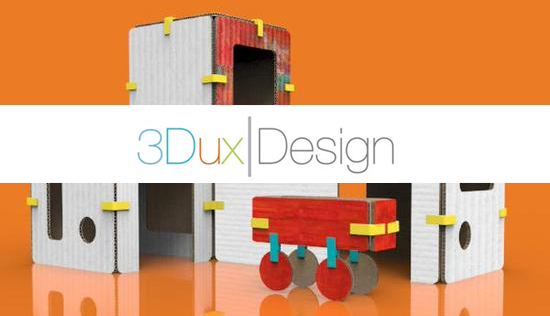 3Dux/design is committed to promoting STEAM Education by offering an engaging platform that blends geometry and engineering concepts with creativity and design thinking. 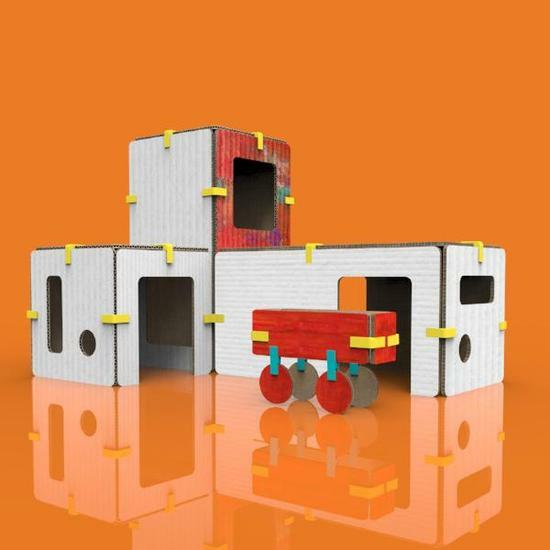 Reusable 3D printed connectors and recycled cardboard offer the perfect platform for children to imagine, design, create and then reimagine. Using environmentally responsible materials, we offer today's youth the tools to make a better tomorrow. The Modhaüs Combo Kit is ideal for the modern-minded. 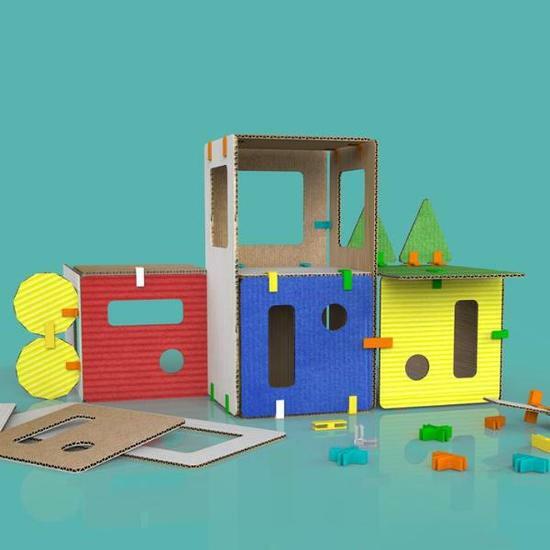 This kit includes all cardboard pieces and connectors necessary to create the proposed architectural design along with extra components to let your imagination take over. Make a midcentury modern ranch, an urban row house, or anything you can imagine. The Musée Moderne is perfect for the young designer with an appreciation of the arts. 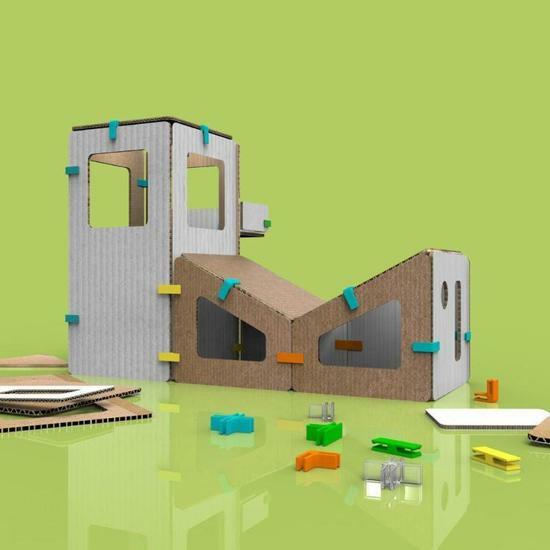 This kit includes all cardboard pieces and connectors necessary to create the proposed architectural design along with extra components to let the imagination take over. Paint it, redesign it, build out with your own cardboard. And don't forget to send us some photos for our community board. 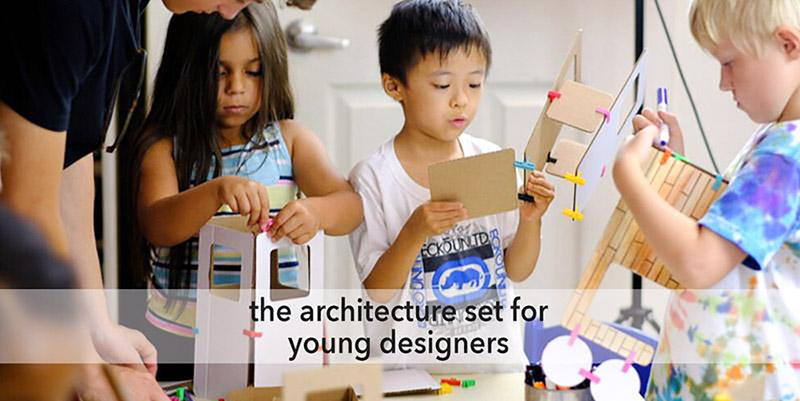 The Fire Station Architecture Kit is the perfect set for small kids with big imaginations. Build it, paint it, populate it, and play with it. This kit includes all cardboard pieces and connectors necessary to create the proposed architectural design along with extra components for vehicles, fire people and your own firehouse design. Or use the pieces to create anything else you can imagine.